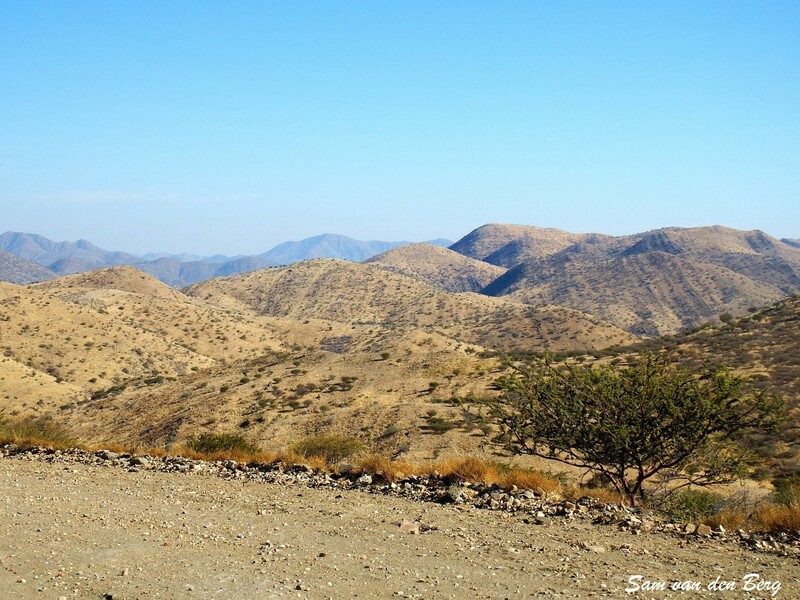 At the top of the Boshua Pass looking in a Westerly direction. At the top of the Boshua Pass the Khomas Hochland. 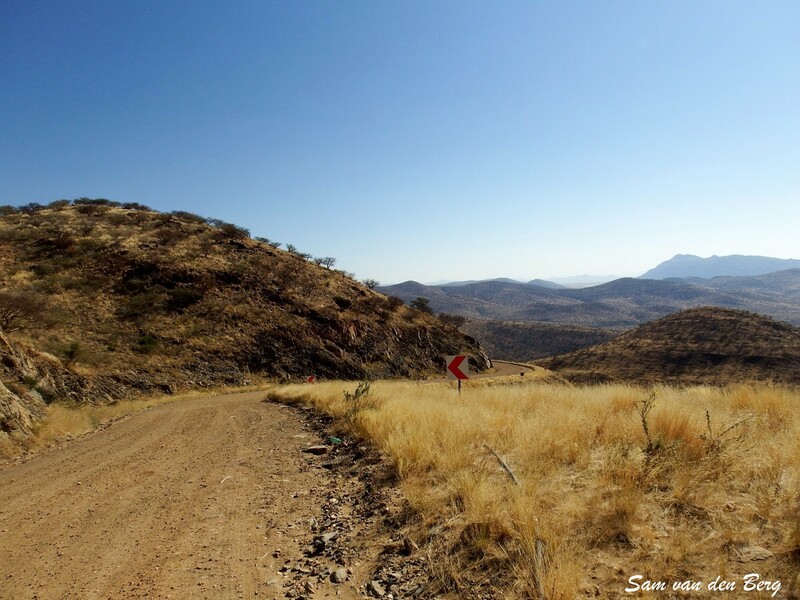 Bosua Pass is a high mountain pass at an elevation of 1,728m above the sea level, located in central Namibia. The pass is located on the C28 road. 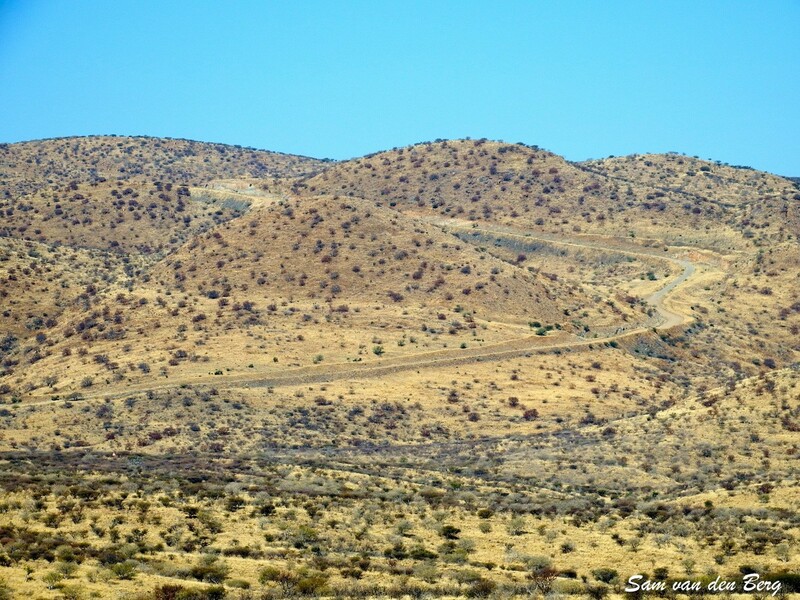 The road over the pass is one of the Namibia's steepest routes, reaching a gradient of 1:5 or 20% slope as it descends from the Khomas Highlands onto the Namib plains. The road is gravel with a section of interlocking paving at the steepest section. The towing of trailers is not recommended.